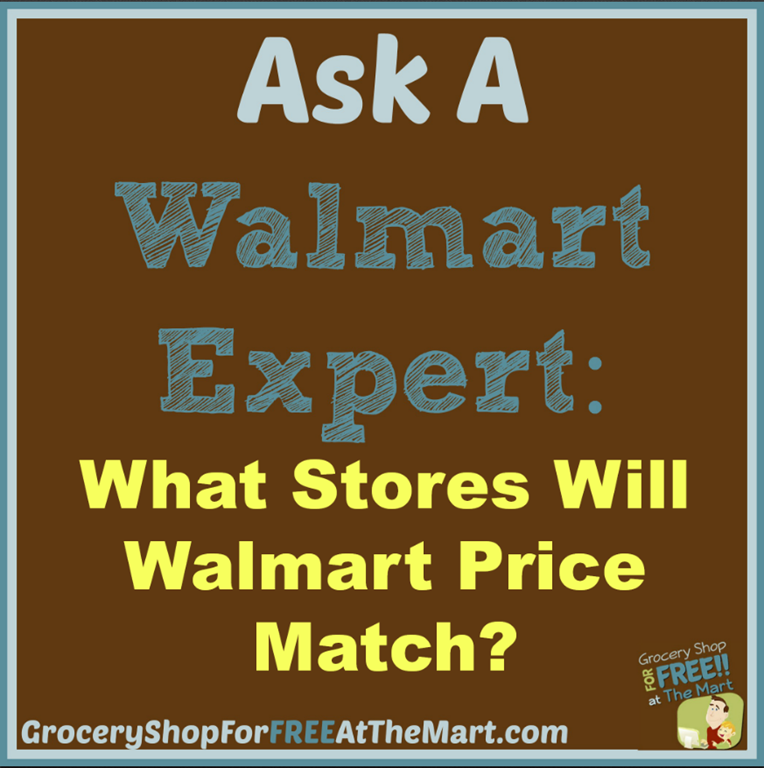 Ask a Walmart Expert: What Stores Will Walmart Price Match? 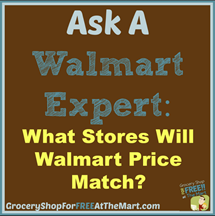 What Stores Will Walmart Price Match? Sometimes I get asked a question so basic that I am a little surprised I haven’t actually covered it. This post should have happened a long time ago. Walmart will ad match any local competitor. Occasionally you guys write to me telling me about a store manager that refuses an ad match. Sometimes they say that a certain store isn’t a “competitor”. Like Walmart doesn’t consider CVS or Walgreen’s a competitor or something. If that happens to you, call 800-WALMART and pitch a fit. Sometimes they will say a store isn’t “local”. This is a little harder to fight against because the rules are so vague but it still wouldn’t hurt to try to fight. Hope that helps! Don’t forget about the Walmart Savings Catcher program also if you are lucky enough to live in one of the Beta test areas.